Before beginning this next set of predictions for Next Month’s new moon, I wanted to let everyone know how I am working and where I get my information. FYI: All these predictions are sign based. That is to say that most people will look at their own Sun sign. But we are much more then a Sun sign. Most of us already know and understand this concept but there are others who might be more novice in their studies of Astrology to know that each of us has all the signs in us. We are affected by the total sum of all the energies going on which is why some people consult astrologers to help them understand what they are presently living and dealing with. Each of us also has a Moon sign, and a Mars, Venus, Saturn and a slew of other points that can be studied and researched. Therefore the articles or posts are to be more of a general or entertainment value. What I am readying are a bunch of planets, asteroids and TNPs that happen to fall in a specific sign. And trust me it is NEVER all that falls there or I would be writing pages instead of paragraphs. As stated many of you already know and understand this particularly the crowd that gets it sent to them via the mailing list. But for those who are reading it on-line and are not familiar with where people like me who write about astrology are getting their information. It also reminds us that though we can identify with what is being written, it is still not going to be felt the same why by everyone. Hopefully this explains a bit of what these articles about so that those of you who don’t get it or it never seems to ring true, can understand why. Just because you are an Aries Sun Sign does not mean you are always a good example of an Aries. Other factors in a chart can make you appear more like your Moon sign for example. ARIES: It appears there are so many things going on right now. It is also not a good time to make big purchases. But it is a good time for reflection on your finances. There will also be those times when you will find yourself teary over what feels like some difficult lessons. But you can champion through and ultimately find that peace of mind you deserve. The month also features advice from those in positions of authority. Odd couples or strange “pairs” will come to your attention as well this month. 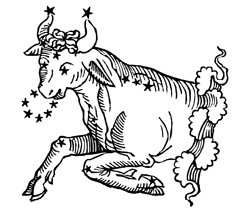 TAURUS: This is a month when you want to take a risk or the plunge with some activity. Actually you might have a great deal of energy overall. Just be wary that some things will have to be done over again. This could also be true with regard to health matters, where things could have to be done over. This could be true when involved in things like therapy or medical tests that have to be repeated. This is a month when you will witness just rewards. Memory or memories are also featured this month. GEMINI: There could be some information that comes available this month that you did not previously have. It will be important to not only keep digging but to stand firm and persevere. Between this and listening to your own intuition you can win the day. The idea of helping others or getting help will come to your attention this month. It will be important for you or others to keep good boundaries particularly with those closest to you. It can get very chaotic this month. The idea the “truth hurts” could also come to your attention. CANCER: The month features things like questions about money. It might be that you could hear a lie revolving around money. Lies in general will be featured this month. In some cases people might be lying as a way to go off on their own. This is a month when you could take the opportunity to stop something. For those who smoke, this is an excellent time to quit. There could be matters related to work or goals that require personal information. But more likely there is a pessimism related to work/goal. LEO: There are areas of your life where you might feel you are being held captive in some way. This might be particularly true when it comes to expenses or the idea of fairness. Partnerships in general can feel burdensome right now. It could even be referring to partnerships where the two people are each on their own. This whole thing can be confusing at the very least. It could be an awareness of relationships where one person depends or the other. It brings up the idea that depending on others can also lead to co-dependency issues. VIRGO: In making new connections there will be a tendency to protect yourself or others. It could be there are some intuitive messages that are difficult to decipher. There could be issues related to difficult or sad matters. It may be important to take time to withdraw. Tears will come to your attention this month if not your own then the tears of others. Black faced animals come to your attention as well this month, particularly black cats. There could be a great deal of focus on the future of career or goals. LIBRA: Boundaries are very important this month, particularly those that could affect your health. There can be some great struggles that will have you or others asking “why me?” When the pressure gets to be too much it will be a good idea to take some time for you. Overall you or others could be in a time of expansion or growth but this will not come without some complaints or grievances. Money or spending could also be an issue perhaps someone is clever when it comes to other people’s money. SCORPIO: Victories are not only surprising this month but they can also be surprisingly difficult, making one ask whether or not it was worth it. This month also focuses on things like logic and strategy. Particularly new beginnings will need good strategy and logic. But this can also refer to astrology that is used as a strategy that is done at the beginning of a situation. This will all be important as it seems you or others are not getting the credit they deserve. Body image or body gestures will also come to your attention. Paying attention will lead to clarity. SAGITTARIUS: It will be important to remember that overreactions can complicate matters. This month also features bonding with others, perhaps over matters that you or others consider evil. Work or goals could also bring struggles. There is also a focus on early mornings which might be the only way to get a jump on your days this month. Body image or movement will come to your attention this month. Health matters could involve travel. For some it might be that they need to pay attention to their health while traveling. Overall this can be a productive month for you. CAPRICORN: Dependencies can come to your attention this month. Health matters can also become an Achilles’ heel this month. It will be important to clean or clear things up in the coming days. There could also be a focus on regular expenses. Matters related to a neighbor or a neighbor’s partner could also come to your attention. Power struggles and manipulations of others will come to your attention as well as how some people just need to bullied or treated badly in order to move on things. AQUARIUS: Solving problems this month will take some restraint. Some of this restraint could be related to finances. The night hours will also be featured this month. There could be some excitement that perks you up and allows you to feel better about yourself. Pay attention to your stomach, not only in trusting your gut but in what you eat as well. Stomach issues are possible right now. You will need to stay conscious when it comes to financial dealings, this might include the need to count your change. PISCES: There can be some oppressive days and it will be difficult to speak out or speak up. But this is a month when you might want to take the risk and speak up. In some situations there will be some missing information or all is not known. In many areas actually there will be a lack of clarity. It will be easier to do things in pieces right now. Much of what is going on feel destined and decisions will require some strategy and planning. You will often feel tested this month and though your intuition can be good, there will be time when things will not go exactly as you thought.